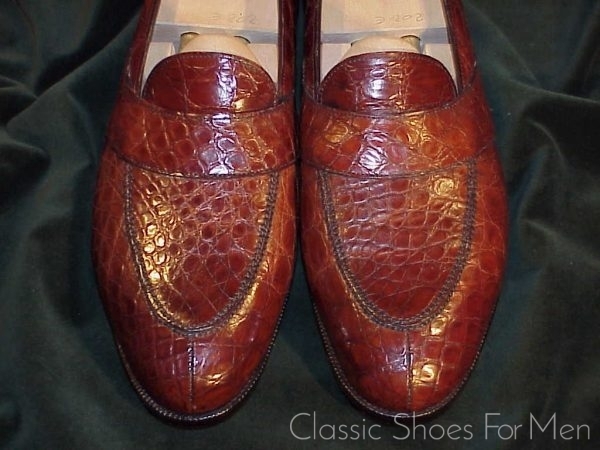 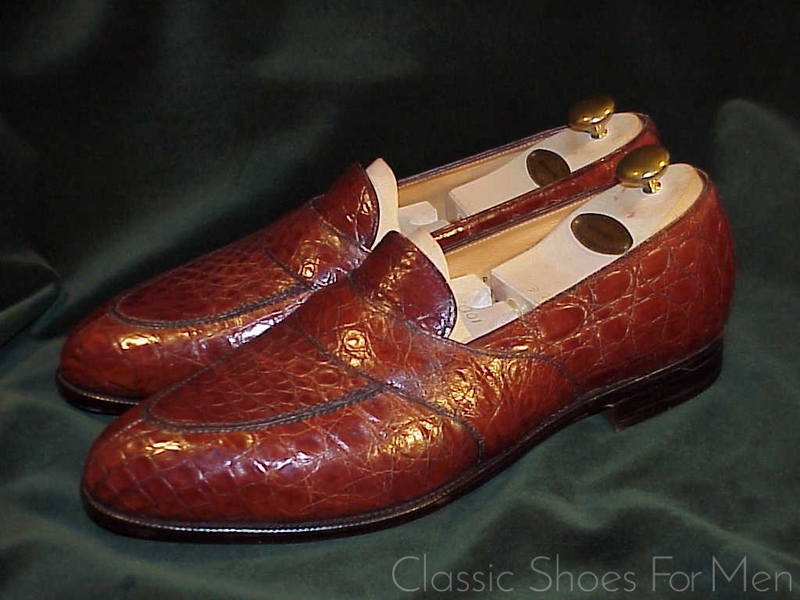 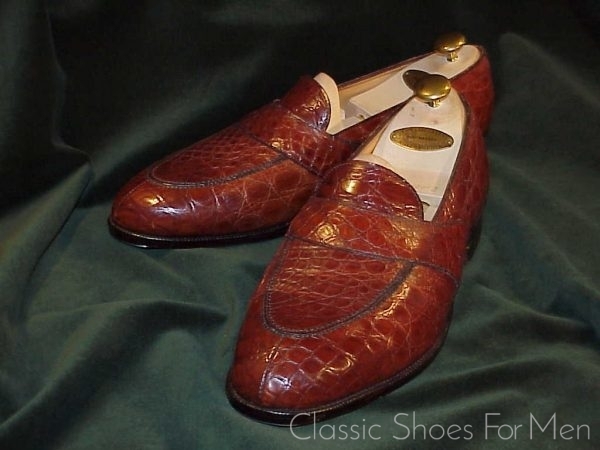 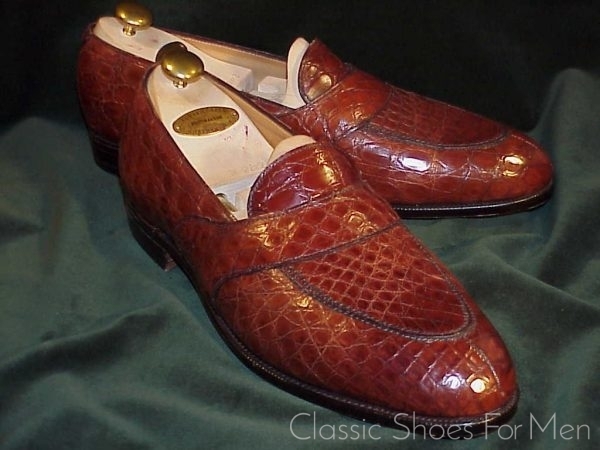 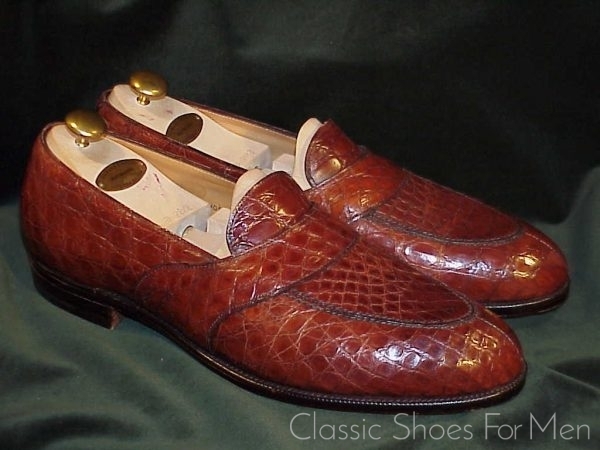 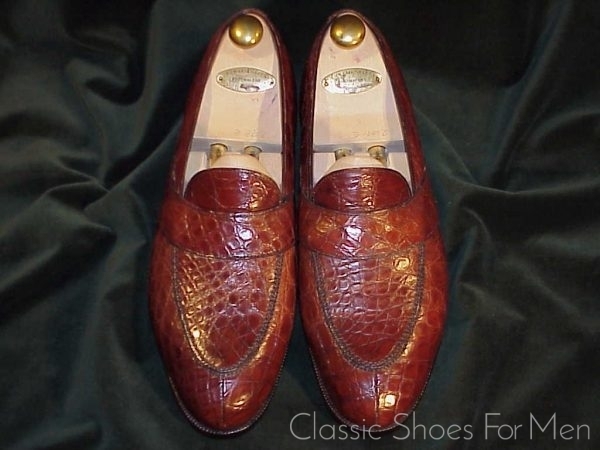 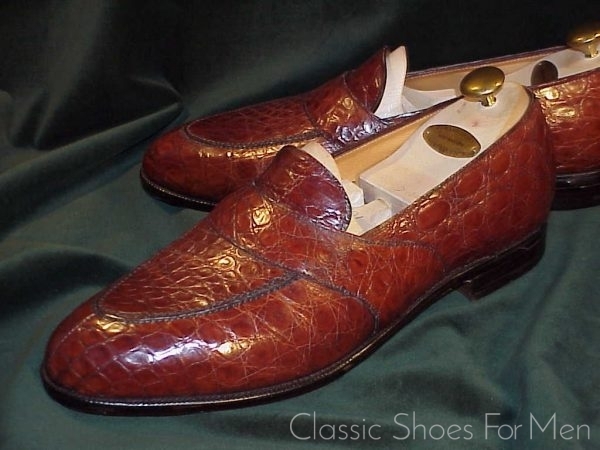 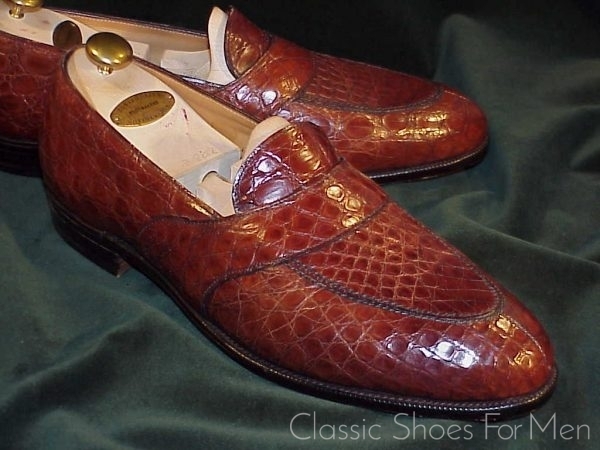 This pair of extraordinarilly luxurious Alligator Loafers were shown in Edward Green’s Burlington Arcade shop in the 1990’s, and unlike the offerings lesser shoemakers -Church’s is a good example- these are their own English-made product and not an Italian or Spanish import re-branded and sold as their own. 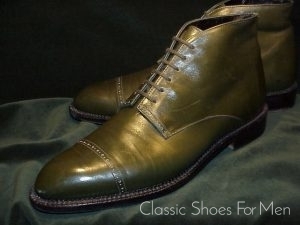 The difference in quality and materials is immediately evident. 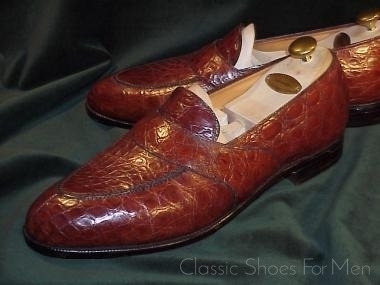 Production of these super-luxurious and stratospherically priced shoes was cut short when America instituted, at the time, new import restrictions on exotic leathers. 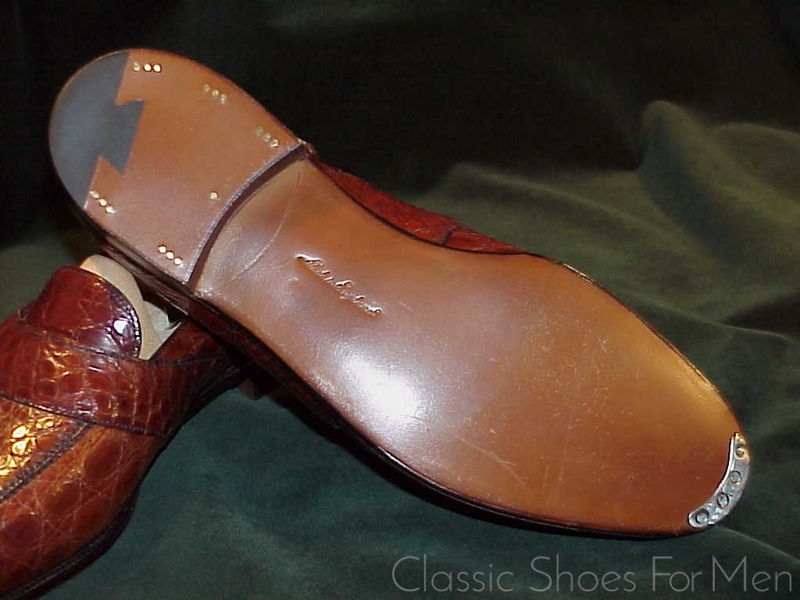 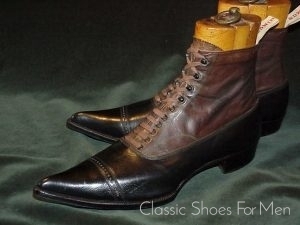 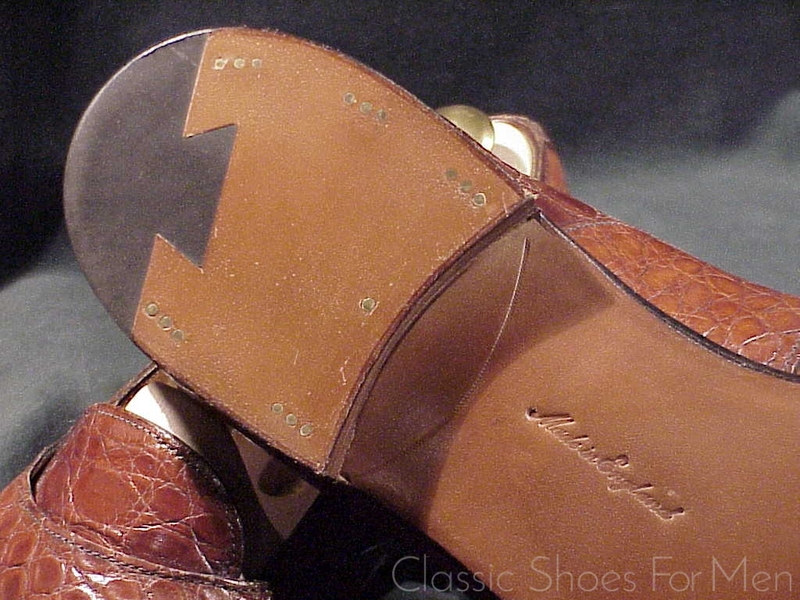 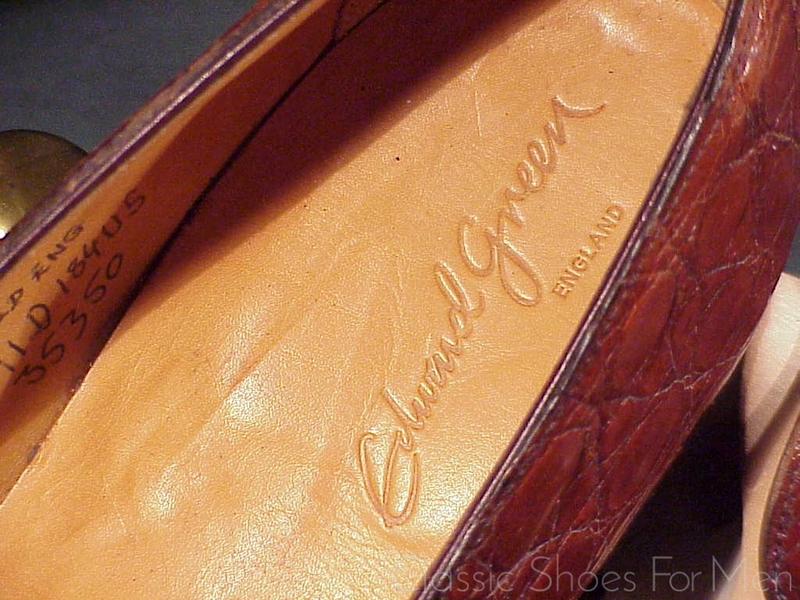 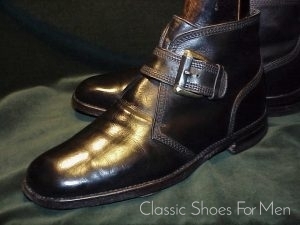 Very few E. Green alligator shoe exist today from any era and today ones only practical recourse is to a bespoke shoe by Green at prices that are commensurate with the superlative reputation of the firm, believed to be by many, England’s greatest shoemaker. Size: UK 10,5E…….US 11D……..Continental 44.5D, for the mid-width foot. Sold without trees. 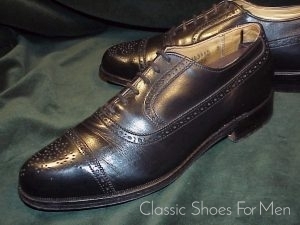 UK 10,5E.......US 11D........Continental 44.5D, for the mid-width foot. Sold without trees.